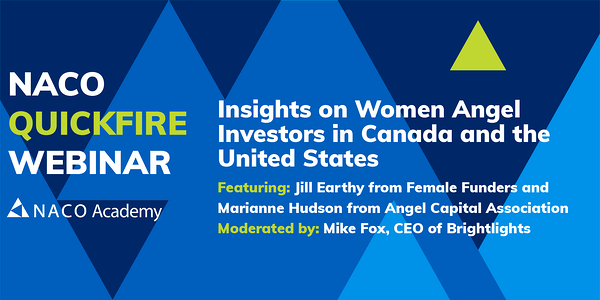 On Thursday, January 31st, 2019 we had a NACO QuickFire Webinar that discussed women Angel investors in Canada and the United States. The conversation featured Jill Earthy from Female Funders and Marianne Hudson from the Angel Capital Association who shared their insights on women Angel investors and the transitions in the traditionally male-dominated ecosystem. The QuickFire was one of our most popular webinars to date indicating the appetite for the topic. Listeners then heard from Marianne Hudson who shared that women investors in the United States have shown a great deal of growth over the years. Although, like Canada, they are actively looking to grow the cheque and portfolio size of the women investors. Both Marianne and Jill shared some challenges that women are facing when it comes to investing. There's a struggle when it comes to women finding the right amount of diversity for their portfolios. They are more interested in investing in companies with women CEO's. Men who invest have been great supporters of women investors, and they too struggle to find diversity when it comes to investing. 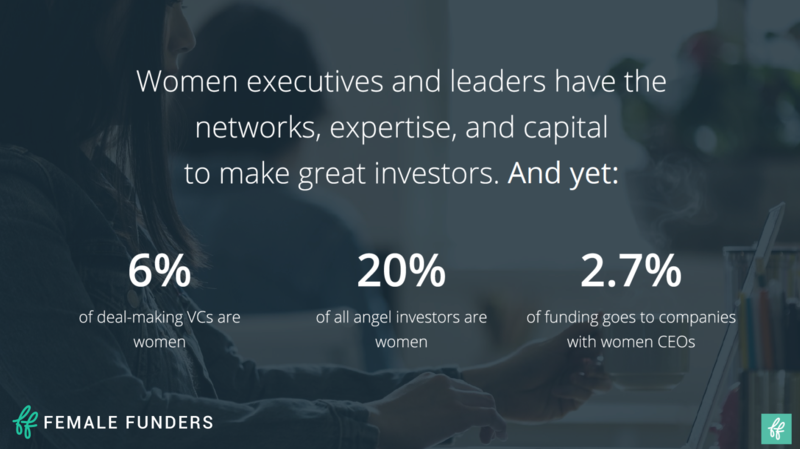 On the upside women investors are great networkers! They also are more likely to admit when they require more education before diving into something. 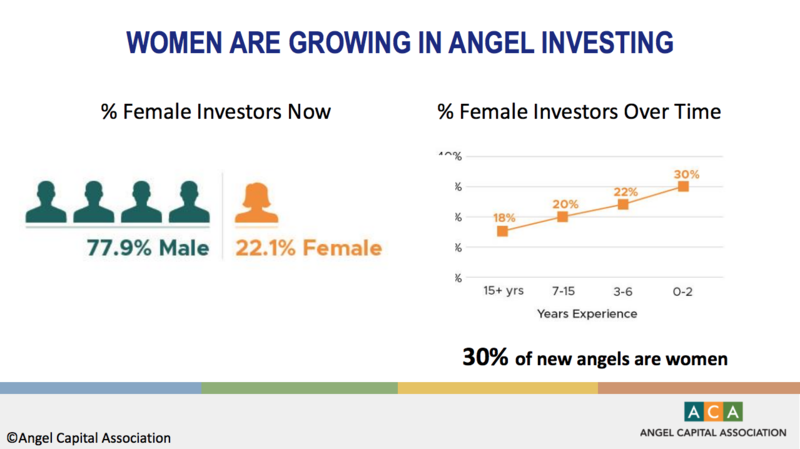 There's been a great deal of interest in the programs that both Female Funders and the Angel Capital Association offer. The conversation continued as both Jill and Marianne discussed the age dynamic, the differences between men and women investors, and industries of interest to women investors. Listeners were very engaged as Jill and Marianne discussed the topics, and had the opportunity to ask questions during the LIVE webinar. 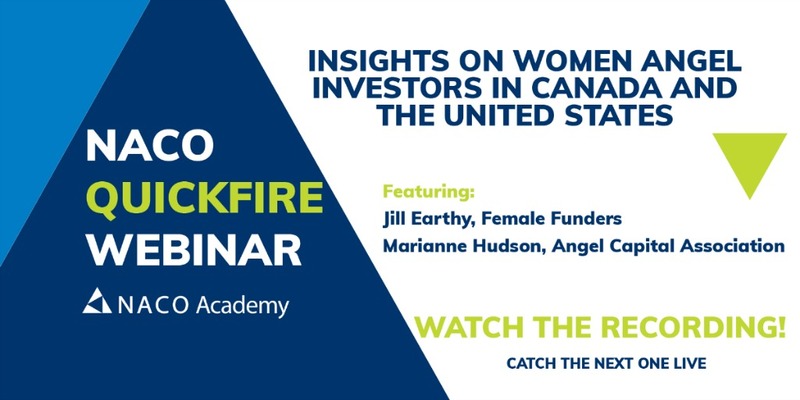 To watch the full QuickFire Webinar: Insights on Women Angel Investing in Canada and the United States featuring Jill Earthy and Marianne Hudson, click here. Mark your calendars! We have our next QuickFire Webinar on February 21st. More details to come. Click below, for more information on our QuickFire Webinars!